Pinterest has gone a long way from humble beginnings to grand user acceptance. Now it’s garnered over 48.7 million users— in just three years. With the heightened number of users also came the increase of pixilated images, spam and other pins that was never the makings of the platform. Whether you’re a rookie or a pro, understand that Pinterest implies certain etiquette— just like other social media platforms. So if you’re eyeing a pleasant Pinterest experience both for you and your viewers, here are some of the best ways to pin politely. 1. Give us a little context. Sure Pinterest is all about the visuals but we do appreciate a little context. Besides, ignoring the descriptions may mean very little (to none) chances of your viewers stumbling upon your pin. Since Pinterest gives regard to keywords, you may want to add in even a short caption. 2. Don’t pin over 30 images in an hour. We understand Pinterest can be addictive but you shouldn’t pin every single thing you find online. If you choose to post too many images in just an hour, you leave nothing to your viewers— except the fact that you just flooded your board. Remember, people in Pinterest seek to be inspired and see all the world’s beautiful things in different boards. So give us something we can digest aptly, not too much in very little time. 3. Never forget to cite your sources. This is by far the biggest mistake many pinners commit. Unless you took that photo yourself, then you should, at all times, cite your source. Not only has this plagued many users, Pinterest has been criticized widely because of irresponsible pinners. So if you ever find the image via Google, take the time to click on the original URL and mention it. If you’re re-pinning, simply click on that photo and see where it leads you. You can then cite the exact URL where you’ll end up, never the homepage. 4. Provide genuine, honest links. You’d be surprised just to how many tricksters there are out there. They come in all forms, one is a spammer who posts an irrelevant link to describe a pinned image. For instance, this spammer lures his viewer to a photo of a delectable plate of lamb shank and a mount of mashed potato. Thinking of the link as the source of the recipe, the viewer then clicks on it only to find himself in a used car dealing website. If you want to keep your loyal followers, provide the correct links to your pins. Besides, there are other platforms you can use if you intend to promote your products/services. Kindness goes a long way, even on Pinterest. As much as you can, share positive feedback and use polite language when communicating with other users. Keep in mind that a big bulk of any social media platform’s success is how its users engage. So be encouraging and veer away from nasty comments that won’t do anyone any good. 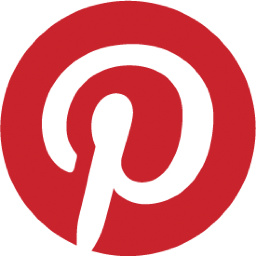 Pinterest’s growth relies heavily on user experience. So continue (or change) to be a polite pinner and keep this platform one of the most sought after in the virtual world. Samantha Nicole is a Content Specialist for Webcada, a web design company in Singapore. She spends the rest of her time guest-blogging for various related websites.